Zine Goal:To make a rad zine before the end of July. Zine Goal:24 pages on one of this year’s obsessions, TBD. incorporates hand-drawn images and text. this will be a new challenge. Collective and its being sponsored by the Richmond Zine Fest! -Let creation take me somewhere new! Zine Goal: to make sure it’s better than my 24-hour comic! can trade with other people! zine content in a way I never have before. Zine Goal: Make my first zine ever. inspiration with the intention of positive social change. Zine Goal: To make it work. Zine Goal: To put my $ where my mouth has been. Zine Goal: To create my first zine and learn how by doing it. out 24 pages of any old writing will be a piece of cake…..I hope. since my first one last year! power… or fail.Â Fully written and illustrated of course. think, learn all at once. Zine Goal: Issue #1 of my new perzine, Undestructable! Zine Goal: to actually make a zine, please. together.Â I haven’t made one in over 10 years! Zine Goal: I am going to make an 1/8 sized zine! Zine Goal: Make it work! 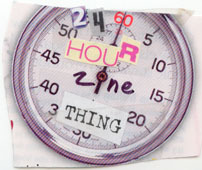 Zine Goal: To make my first zine… in 24 hours. Zine Goal: to make a sweet 24 page comic zine. I am going for a quarter-sized zine. Zine Goal: To create my first zine in 24 hours. though? Maybe I’ll make something colorful? to draw, so this should be interesting. goal to to use this challenge as a way to unclug my creative block! Zine Goal: Geeky parenting zine with stickfigure comics! Acorns. Content to be determined as it happens. probably try some analogue stuff this time.